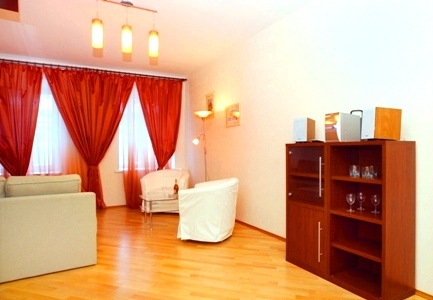 Flat is located in 3 minutes of walking from the Nevsky Prospect. Windows views to picturesque city landscape of Bolshaya Morskaya and crossing Nevsky Prospect. It is prestigious area in the heart of historical city in which the set of monuments of culture and architecture are located. Up to the Isaak`s Cathedral there is 15 minutes of walking. 2 minutes of pleasant walk - and you reach the Dvortsovaya Square before the Hermitage. There are also a lot of boutiques, cosy cafes, restaurants, MacDonald`s.